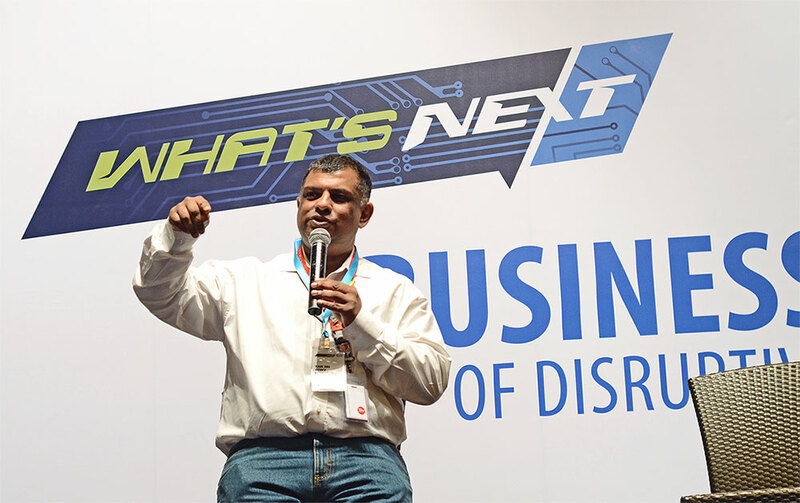 What’s Next, Malaysia’s premiere digital meets brick-and-mortar conference, where Tan Sri Tony Fernandez famously declared in 2015 that AirAsia was in fact an Internet company, is back for the fourth year on August 30, 2018 at Le Meridien Kuala Lumpur. In an exciting addition to the lineup of brick and mortar leaders talking about how they are dealing with digital disruption, EY is bringing its world class Digital Roadshow experience to Malaysia and only at What’s Next 2018. EY experts from around Asia will be showcasing various digital solutions that are today helping brick and mortar businesses take advantage of digital instead of being disrupted by digital. At the same time come listen to Henry Tan, chief corporate and consumer office of Astro holdings Malaysia Berhad share key lesson has learnt about facing disruption and come listen to the global condom king, MK Goh of Karex Berhad, the world’s largest condom manufacture talk about how his brick and mortar business is facing digital disruption. 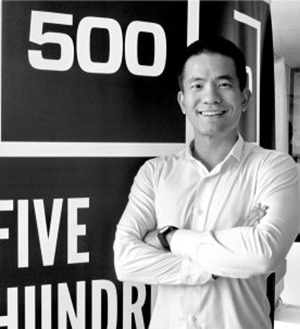 Not forgetting Khailee Ng managing partner of 500 Startups who will talk about the coming disruption and opportunities from Deep Tech. And many more exciting speakers. 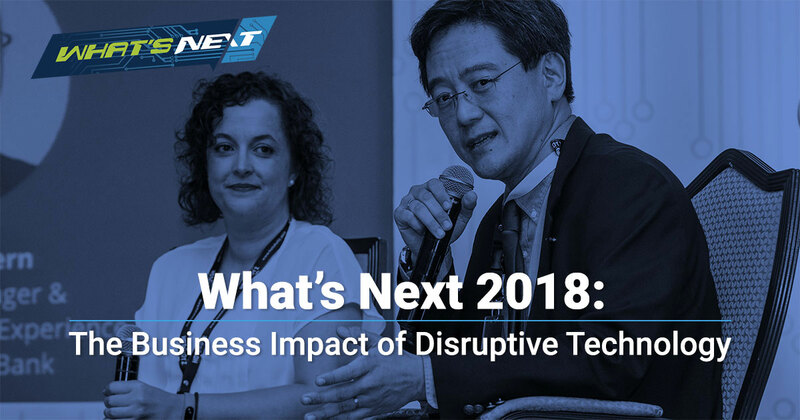 All only at What’s Next 2018. 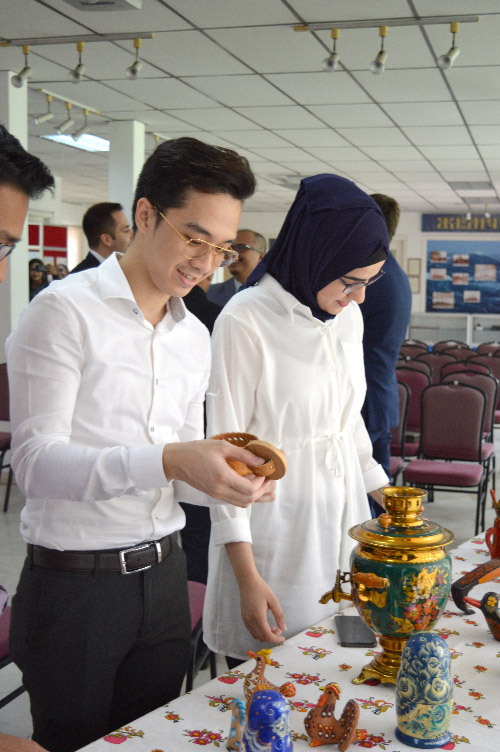 Despite their differences in nationalities and cultural backgrounds, 30 students from 15 nations under the BA (Hons) International Relations programme at Asia Pacific University of Technology & Innovation (APU) came together for an out-of-classroom learning trip to the Russian Centre for Science and Culture, under the Embassy of the Russian Federation in Malaysia. 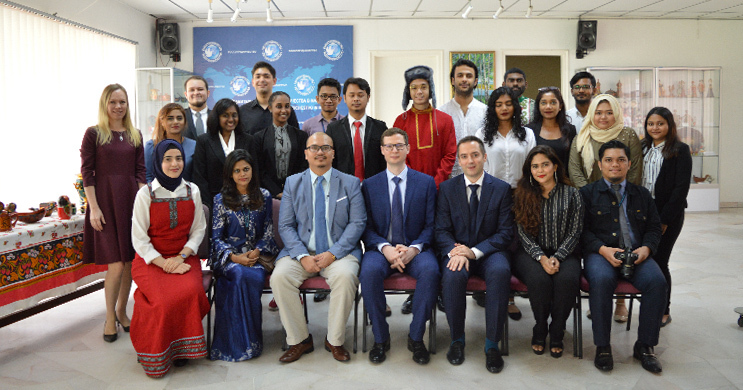 The multicultural visiting group comprised students from Bangladesh, Bhutan, India, Kashmir, Malawi, Malaysia, Maldives, Myanmar, Pakistan, Russia, Seychelles, Somali Land, Sri Lanka, United Arab Emirates and Zambia. 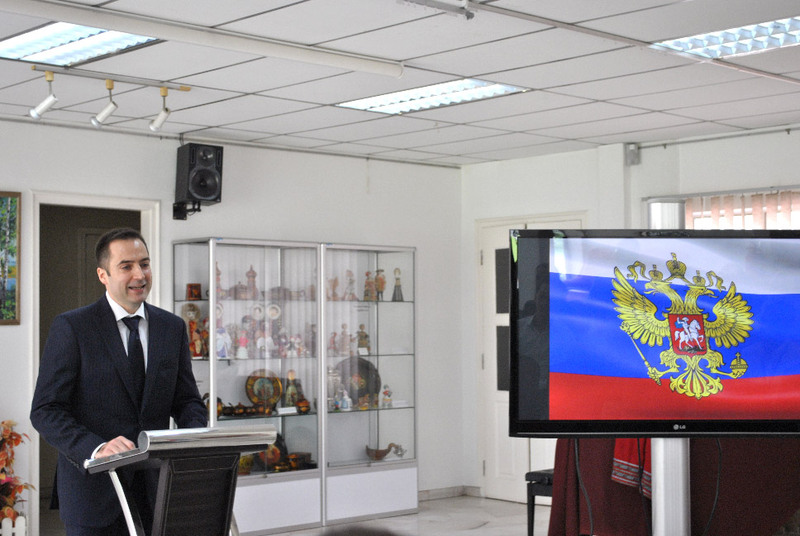 Alexander V. Antipov, First Secretary conducted a guest lecture for APU’s International Relations students on Russian foreign policies and the nation’s efforts in promoting Sustainable Development Goals. Alexander V. Antipov, First Secretary and Maxim A. Salnikov, Second Secretary, Press-Attaché at the Embassy of the Russian Federation in Malaysia conducted a 45-minute guest lecture that exposed the students towards Russia’s foreign policy on preserving national security, as well as the roles of Russia in Sustainable Development Goals in promoting world peace and a secure global environment. 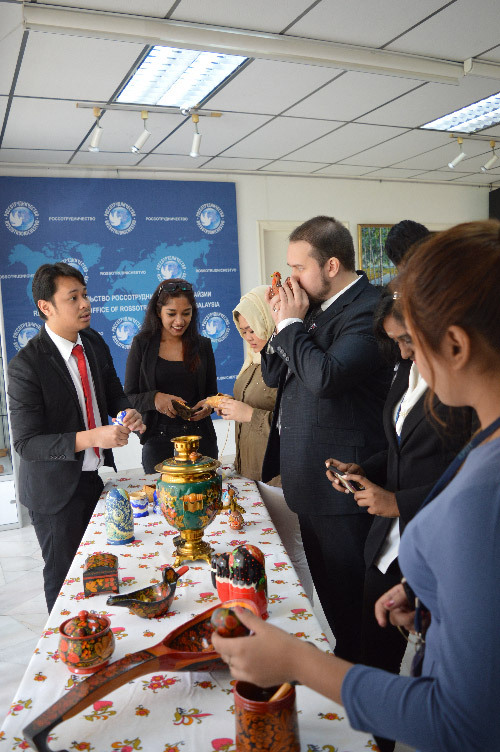 Questions related to Russia’s interest in foreign policies as well as issues in world politics were among the topics that were actively discussed amongst the students together with the officials from the Russian Embassy. 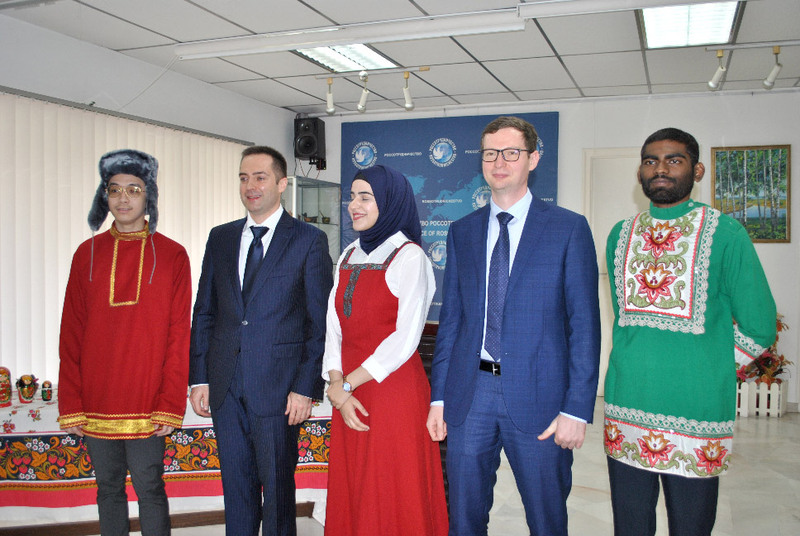 Apart from having the opportunity to interact with the Russian diplomats directly, Togoo was also one of the 30 students who had the first-hand experience trying on traditional Russian folk costumes and reading about ornate religious and cultural symbols during the visit. This visit was one of the 5 to 6 visits scheduled by APU’s School of Marketing and Media to encourage the development of International Relations students’ knowledge towards cultural environments and world affairs in the era of globalization. said Dr. Devinder Kaur, Head of School of Marketing and Media, APU. What wouldn’t you do for your children’s education? 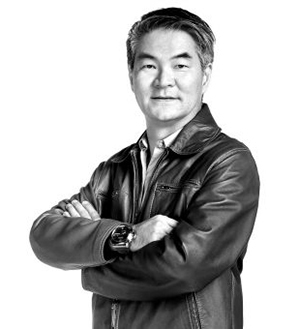 Asian parents place much emphasis on academic excellence and are willing to make sacrifices to give their children the best education they can afford; sometimes even when they can’t afford to. Given the less-than-stellar quality of Malaysian public education, the sacrifices are real. Many observers look back to the good old days when the Malaysian education was regarded as second to none in Asia. Oh how far we have fallen! Alas, the oft-quoted maxim “Those who can’t do, teach” now rings too close for comfort. 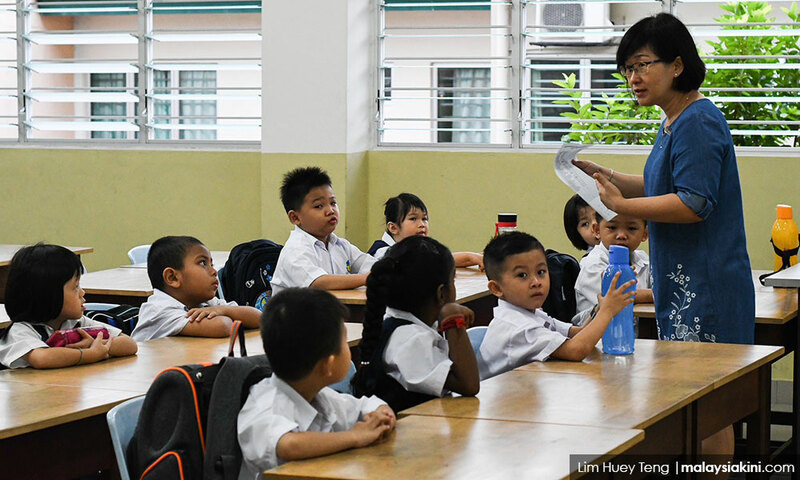 Organisation for Economic Co-operation and Development (OECD) highlighted weaknesses in teacher competencies as a serious impediment to overall education quality in Malaysia, attributing that partly to the low quality of applicants to teacher education institutes. In 2010, a mind-boggling 93% of Bachelor of Education applicants at these institutes scored below the minimum academic requirement (Ministry of Education Malaysia, 2012)! Would you wager things have significantly improved since? Tuition classes to supplement the insufficient learning from public schools are common; a necessity even, some might argue. Hours robbed from one’s childhood can never be recovered. 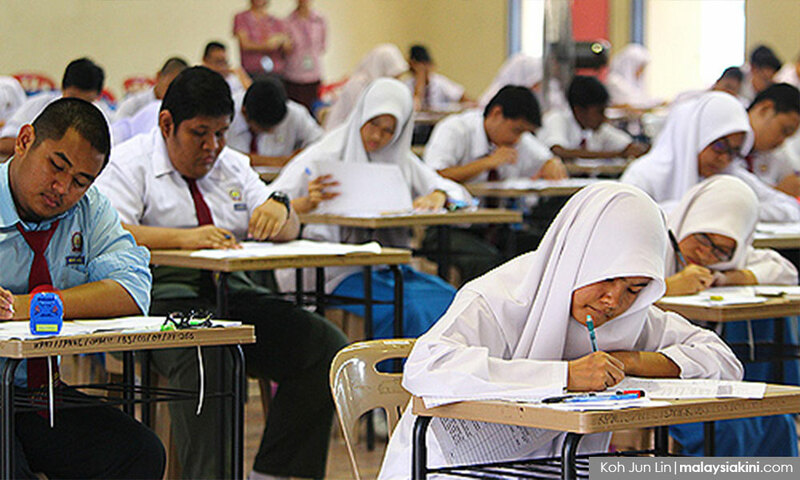 The OECD’s Programme for International Student Assessment (PISA) global rankings on student performance in mathematics, reading, and science highlights the dismal proficiency of Malaysian students on these subjects. PISA is an exam administered every three years to measure 15-year-olds in 72 countries. While Singapore consistently topped all three, Malaysia’s scores stayed below average. In 2015, Malaysia scored 446 in mathematics (vs. average: 490) , 431 in reading (vs. 493) and 443 in science (vs. 493), albeit an improvement from 2012. Granted Singapore has long left Malaysia far behind in many socio-economic aspects, with education being just one. But losing even to Vietnam?! Much has been said about students entering universities lacking mastery in basic mathematic skills, reasoning and proof, and not being able to make connections in other disciplines. And of unemployable university graduates, some of whom are incapable of stringing a single coherent sentence in English. Alas, Malaysia’s education system seems to lack long-term planning. Education policies often get changed every few years before they could deliver results – it feels like we’re in a perpetual state of experimentation in respect to curriculum, teaching methodology, evaluation and even medium of instruction. Perhaps the most disruptive and controversial in recent years was the flip-flop on using English as the medium to teach science and mathematics in schools – the policy was introduced in January 2003, and reversed in July 2009. No one likes their children to be experimented upon. The perceived lack of certainty in education policies pushed many parents to consider private schools. Amid the dwindling confidence in our school system, international schools are thriving. There used to be a 40% cap on Malaysians permitted to enrol in international schools. With the cap removed in 2012, some international schools are now predominantly filled with Malaysian students. According to a 2017 report by the International School Consultancy Research (ISC), Malaysia has 170 international schools with a total of 71,589 students. Education Destination Malaysia’s 2017/18 guidebook highlights 140 international schools. The cost to put a child through private school ranges from RM12,000 to over RM120,000 per year, excluding other fees such as boarding. Then there’s the 5-10% annual increase. Education Destination Malaysia estimates RM30,000-50,000 as roughly what it would cost to put your child through a year of primary education in a mid-cost international school. 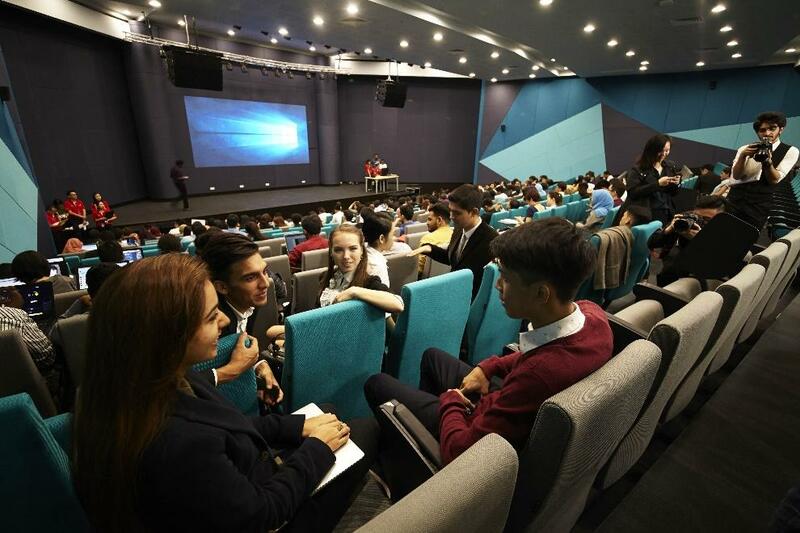 According to its data, Sri Kuala Lumpur (probably the most sought-after international school) has relatively affordable annual tuition fees of RM15,300-RM29,600 (excluding other fees). But you’ll have to jostle other parents for a spot – the waiting list is crazy long! Getting a spot in Malaysia’s public universities is also highly competitive. The racial quota in local universities makes it harder for minorities to be accepted for highly sought-after courses. Under the government’s affirmative action programme, 55% of university places went to Bumiputeras. Upon the abolishment of the race quota, matriculation was introduced as an alternative to Sijil Tinggi Persekolahan Malaysia (STPM). But it has been highly criticised for being markedly easier than STPM, and serves as an easier path for Bumiputeras, for whom 90% of the places are reserved. Those who can’t get a spot in local universities for a course they want may have no choice but study in private universities. Ringgitplus.com estimates that it cost an average of RM7,000 to pursue a local public university course while local private universities charge 3-5 times that or more, depending on the course. Moreover, the cost of studying in a private university keeps increasing much faster than inflation. Asia Pacific University of Technology & Innovation (APU) unveiled the new iconic campus in 2017 that is strategically located in Technology Park Malaysia (TPM), Bukit Jalil. APU is a top-notch University recognised as a Premier Digital University by MDEC and was rated 5-Stars at the SETARA 2017 Ratings by Ministry of Higher Education. APU’s Campus blends technology, integration, innovation and creativity under one roof. Designed by award-winning consultants and architects, APU’s new iconic campus provides not just a university learning environment, but also a lively community spot for our students to formulate new ideas, gain intellectual growth and discover new adventures. Strategically located within TPM, Bukit Jalil, the APU’s new iconic campus provides high accessibility through major highways from Puchong, Subang, Petaling Jaya and the heart of Kuala Lumpur. Apart from providing ample parking spaces on-campus for students and staff, the campus is surrounded by a wide array of public transportation, such as the Bukit Jalil LRT station and Terminal Bas Selatan @ Bandar Tasik Selatan. TPM, the technology park that also houses Astro, Mimos, Jaring and other various technological companies, is the ideal location for this contemporary campus, due to its strong positioning as Malaysia’s primary hub for leading-edge and high-tech developments in a wide variety of areas. 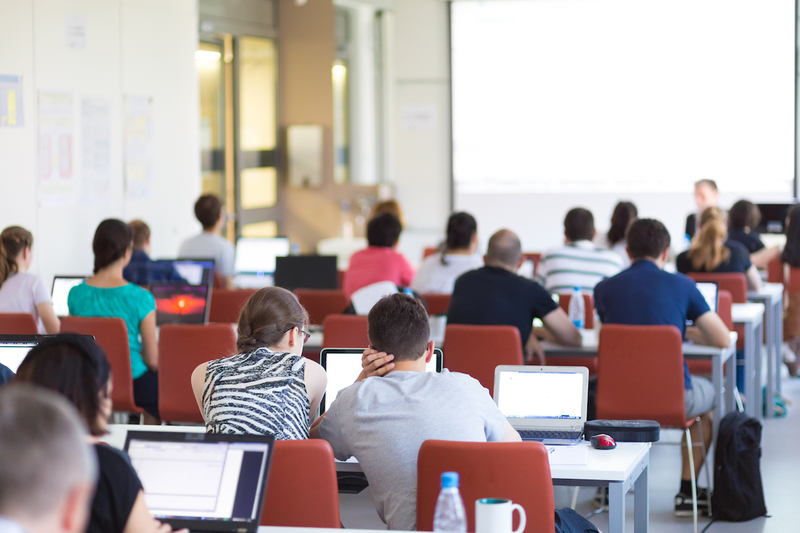 Well-trained academics at APU offer intensive knowledge sharing sessions in class, by making use of the highly-reliable educational technology within the APU’s New Iconic Campus. Being a university student can be one’s most exciting expeditions, where dreams are realized and the future is envisioned. The expedition starts at The Spine – a distinctive and unique feature that stretches from the main entrance all the way to the far end of the campus. While providing seamless connectivity to all areas within the campus, The Spine also aims to establish a community aspect for the university – where integration is the key. Covered walkways that extends from the Spine further promotes connectivity and cultivates exchange of ideas among students from different disciplines and academics, through the series of ‘intelligent’ teaching, learning, research, and social spaces spanning from the Spine. Within the Spine, a vibrant array of academic, leisure and social activities take place on a daily basis; it is not only the heart of the campus but also the nurturing ground for world-changing global ideas. APU’s Centre Point, which located at the center of the Spine serves as a melting pot of cultures from all over the world, where cultural activities are organized regularly at the campus, fostering long-lasting intercultural relationships among APU students, who come from over 110 countries. Through a stylish blend of functionality & accessibility, APU’s new iconic campus sets a new benchmark for design excellence among Malaysian Universities. Highlighting the importance of transparency, the campus makes extensive use of glass to limit physical barriers between people. Teaching and learning facilities are redesigned to suit the needs of the industry, in line with the Industrial Revolution 4.0, a strong emphasis on cooperative learning is reflected at APU’s new iconic campus, through the abundance of communal spaces and discussion areas, where aspiring young minds come together to formulate innovative ideas. Wings spreading out from the Spine offer creative spaces intended to foster self-directed learning and teaching. Highly conducive teaching & learning spaces, study lounges, studios, laboratories, tutorial rooms, breakout rooms and syndicate rooms sit alongside modern, fully equipped lecture theatres where core knowledge is taught by well qualified academics. All spaces are carefully designed to create an unforgettable learning and lifestyle experience that lasts for a lifetime, while enabling professional learning and cultivating global mindsets. State-of-the-art lecture halls and classrooms provides a comfortable and sophisticated learning experience to students during lecture and tutorial sessions. The APU Library sits as a core of the Knowledge Commons, providing an intelligent space for exceptional learning experiences. Apart from the wide array of book selections, e-books, e-journals and other resources, the library also positions itself as a popular spot for interactive discussions and creative brainstorming sessions, in line with our teaching strategy that encourages open, multidisciplinary approaches. The contemporary two-floor library features an abundant array of discussion rooms that are well-equipped with LCD TVs, providing the facilities for students to gear up for their professional presentations, debates and group assessments. At another corner, the Bean Bag zone provides maximum comfort to students who wish to create and share knowledge in a casual yet aspiring way. 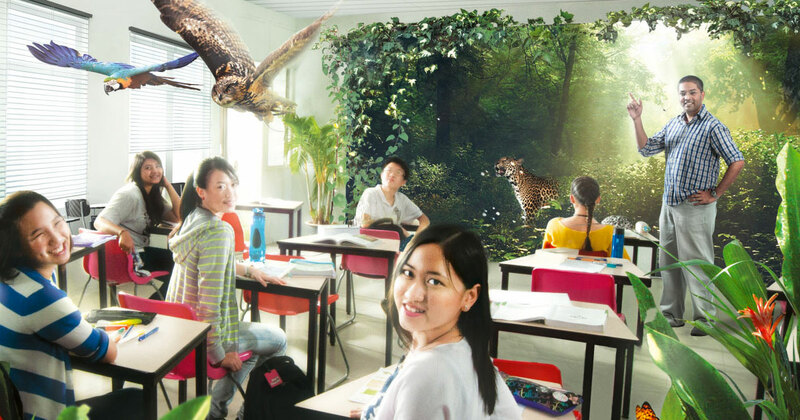 A soundproof Quiet Zone is designed exclusively for students who prefer a quiet and cozy study environment for their upcoming exams and assessments. 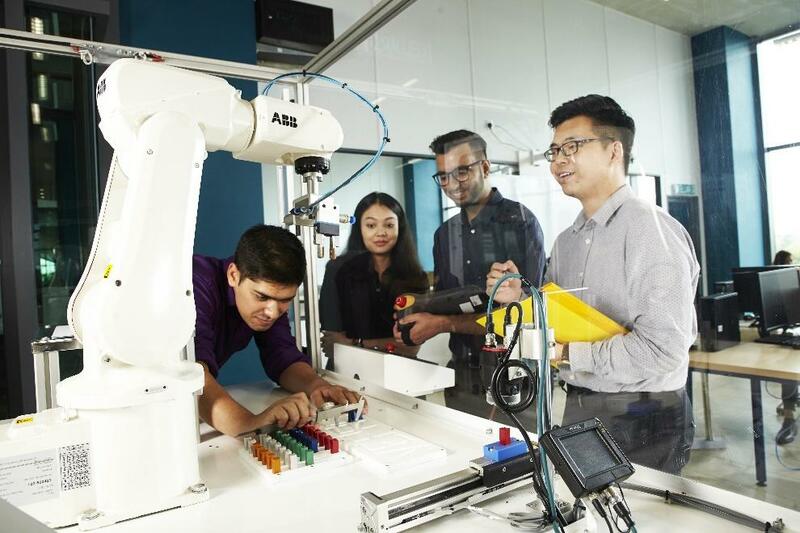 By incorporating cutting-edge technologies, APU students will be able to keep up with the latest technological trends and equip themselves with necessary skills to be a highly-employable graduate. At APU, we aspire to ensure success in our students’ future careers, granting them ability to combat the global challenges that lie ahead. 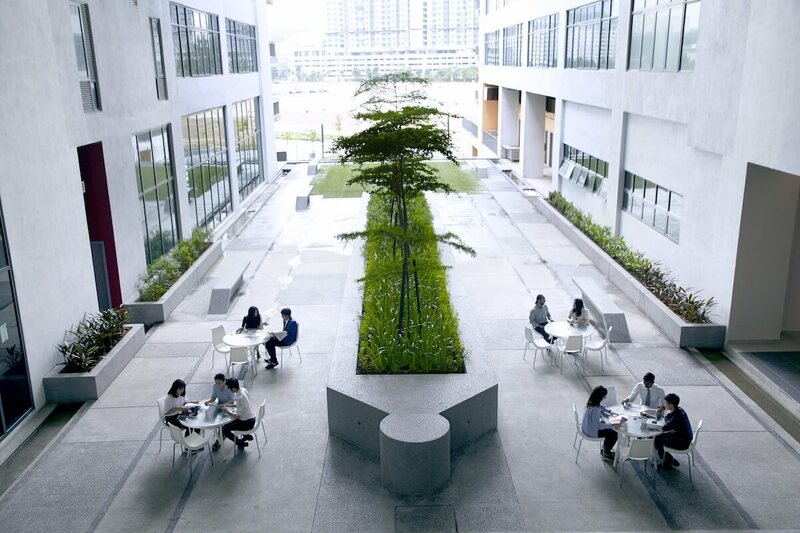 The campus is a unique fusion of technology, innovation and creativity, to reflect our identity as Malaysia’s leading technological university. Apart from being a vibrant campus, APU’s new iconic campus is also established as a smart campus, where reliable high-speed wireless internet access and cashless payment systems combine to create a whole new level of campus lifestyle experience. APU’s graduates are self-starting, innovative problem solvers with skills attuned to their particular professions. They are capable, enterprising and entrepreneurial, and hence highly employable. Our educational technology environment supports the development of graduates of this calibre, in which well-equipped computing and engineering laboratories with advanced software, hardware and technologies place students at the forefront of technological excellence. By applying the latest technology and design, the campus supports a vibrant community of scholars, who will eventually become highly-employable working professionals, and commit to engaged, reflective learning and research in a connected, interactive environment. 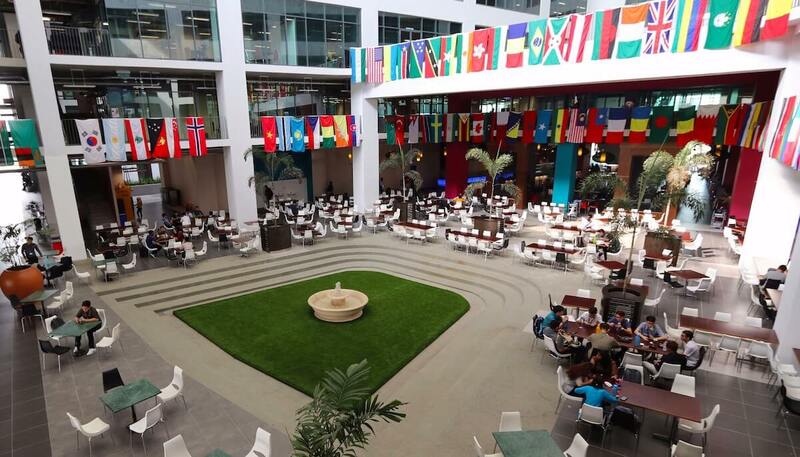 The Atrium, located at the center of the campus, serves as a melting pot of cultures from over 110 countries at APU. Studying away from home is an experience of a lifetime. At APU’s new iconic campus, the experience is made an unforgettable one, as the on-campus accommodation aspires to amalgamate comfort and security at the same time. Built within the campus grounds, all dormitories have en-suite facilities, where students are accorded maximum comfort and privacy. The residential blocks can be independently accessed from the main university teaching zones, providing ultimate accessibility and convenience to its tenants. In addition, a fitness sweatzone and student lounge provide spaces for relaxation and socialization throughout the day. APU’s New Iconic Campus features an abundant array of communal spaces, in line with our teaching strategy that promotes interaction and active sharing of knowledge. The APU’s New Iconic Campus is a campus made ready for the world, to nurture professional graduates who are career-ready upon graduation. To date, the global campus houses 11,000 students who came from 110 countries. For more information, please visit our website www.apu.edu.my, email [email protected], or contact student services at +603 8996 1000 or hotline 1 300 888 278. To be connected, join us on APU Facebook at www.facebook.com/apuniversity. Seven volunteers saw a need for a good library to serve their community, and they pooled in their resources together to create the Mini Oasis in Bandar Menjalara. The name is fitting, as it conjures the image of a wellspring of knowledge. 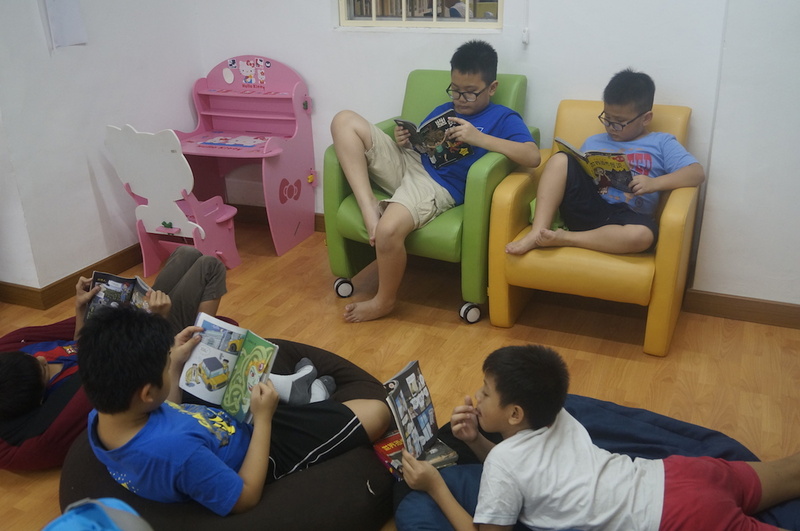 Located just one floor above Restoran Yi Yan on Jalan Medan Putra 1, Mini Oasis provides good reading materials to the local community. Because of its strategic location, young children can enjoy their reading here while their parents have a sumptuous meal downstairs. 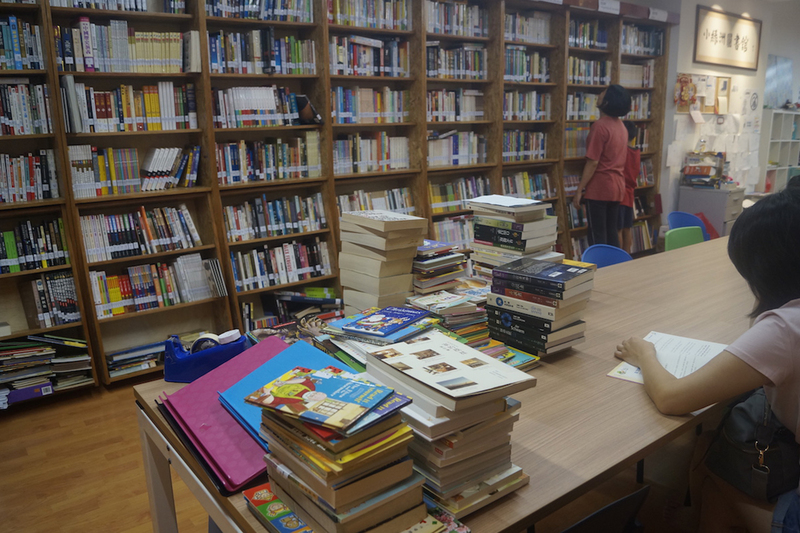 With the help of six others, Thai Yew Kuan, Jessie Yap Suet See, Karuna Chi Hui Fong, Tan Han Bin, Mandy Wong Shiang Hua and Ching Chen Seng, Mini Oasis today has a total collection of 10,973 books. Based on his observations, most government-funded libraries have very limited number of books, especially when it comes to Chinese literature. Most of the Chinese books here are imported directly from mainland China and Taiwan. 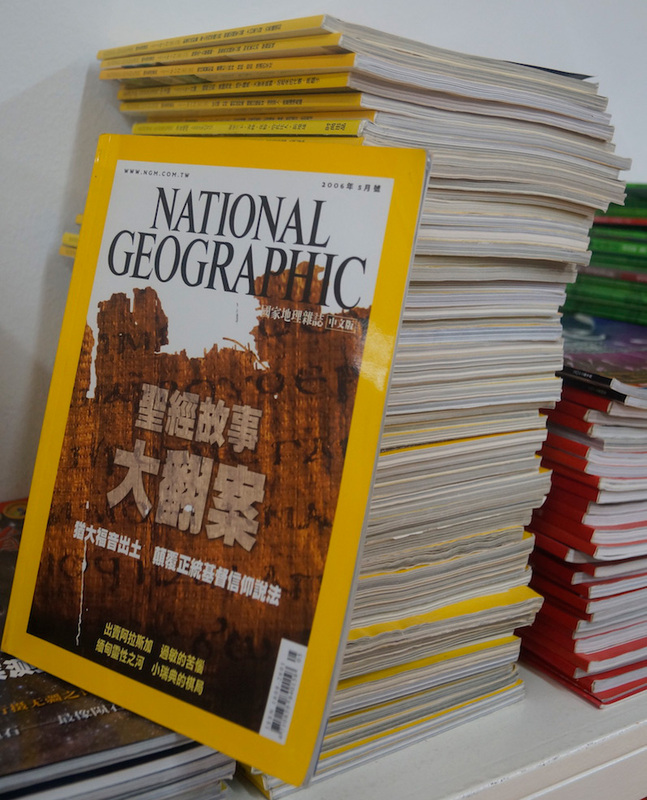 To date, they have a very good collection of books and magazines, including National Geographic in Chinese, a full set of books on world history, and even children’s comic books. 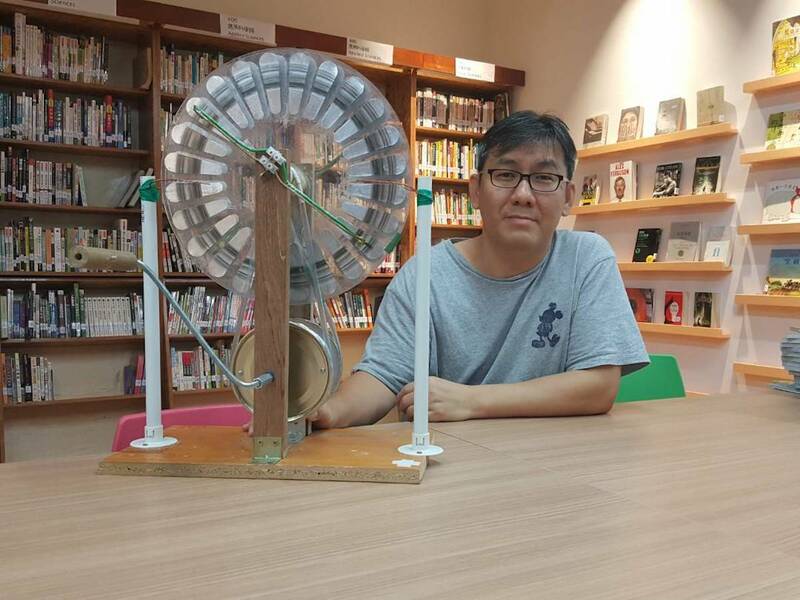 Occasionally, Moan also conducts science experiments and explain to children how static electricity is generated. 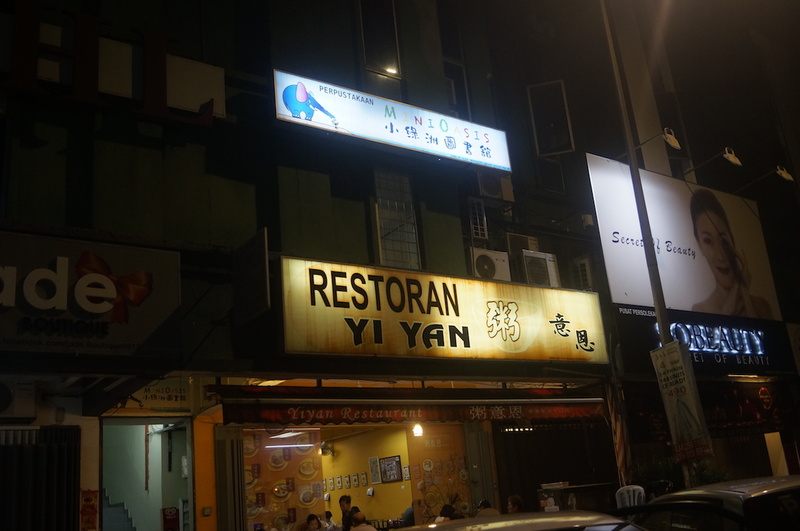 Mini Oasis is located at 9, Jalan Medan Putra 1, Kepong, 52200 Kuala Lumpur, Wilayah Persekutuan. Emas International School, Malaysia’s First Entrepreneurial School, has been awarded a vaunted spot to be part of the global Endeavor network at Endeavor’s International Selection Panel (ISP) in New York last month. Endeavor is leading the high-impact entrepreneurship movement around the world and works to catalyse long-term economic growth by selecting, mentoring, and accelerating the best high-impact entrepreneurs worldwide. among just 26 entrepreneurs from 13 countries who were selected to join Endeavor Network at the 74th ISP in Brooklyn, New York. Panellists at the event included top business leaders and investors who were drawn from Endeavor’s extensive network of board members, mentors, and supporters. The ISP is the culmination of a rigorous multi-step selection process to identify innovative and driven entrepreneurs who are committed to advancing an ecosystem of entrepreneurship. “The amazing entrepreneurs and high-impact businesses we saw convene this week in Brooklyn demonstrate all of the entrepreneurial potential still waiting to be uncovered around the world,” said Endeavor Co-Founder and CEO Linda Rottenberg. 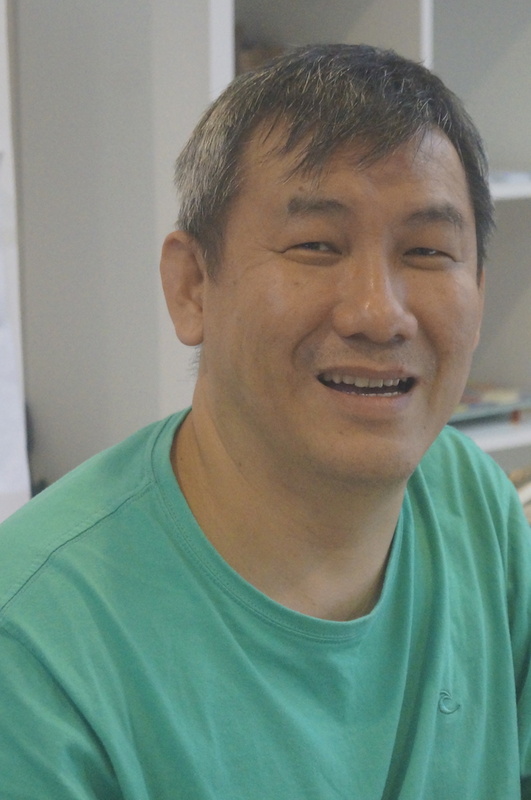 ACE EdVenture’s Anne Tham added: “It is an honour for us. We now have access to the resources, mentoring, consultation, funding, talents of the top entrepreneurs and corporate leaders in 30 countries for the next 20 years or more. They will work very closely with us to make sure that we get to where we need to go anywhere in the world”. The partnership between the ACE EdVenture Group and Endeavor raises the profile of Dwi Emas on the international level, and significantly expands the network of top tier entrepreneurs associated with the school. This tie-up fits in seamlessly with the company’s long-term vision of growing its Entrepreneurial Ecosystem which connects the students, parents and teachers of Dwi Emas – to the world of successful pioneers and trailblazers globally. This selection makes ACE EdVenture one out of only 31 education companies Endeavor has ever selected. 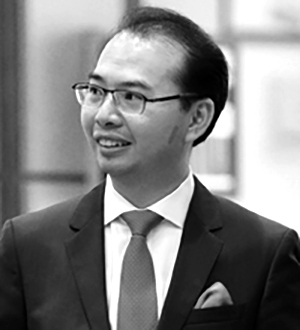 With only 978 companies across 30 growth markets chosen out of 50,000 over the past 20 years, it makes Malaysia’s ACE EdVenture Group part of a very elite group of entrepreneurs. The criteria of the businesses chosen were making a social impact, building an empowering ecosystem, impacting the next generation as well as the economy by providing jobs. In New York, panellists from around the world interviewed entrepreneur candidates about their businesses, evaluating them on their potential for high-impact growth. Once selected, Endeavor Entrepreneurs gain access to comprehensive customized services, including introductions to local and international business mentors and volunteers from Fortune 500 consulting firms who will help them address key needs. Endeavor Entrepreneurs have had a significant track record of creating hundreds of thousands of jobs, generating billions of dollars in revenues, and building sustainable growth models in their home countries.